Minister of Finance Colm Imbert. Finance Minister Colm Imbert yesterday disclosed a total of US$3 billion in foreign exchange was spent in credit card purchases over the last three years. 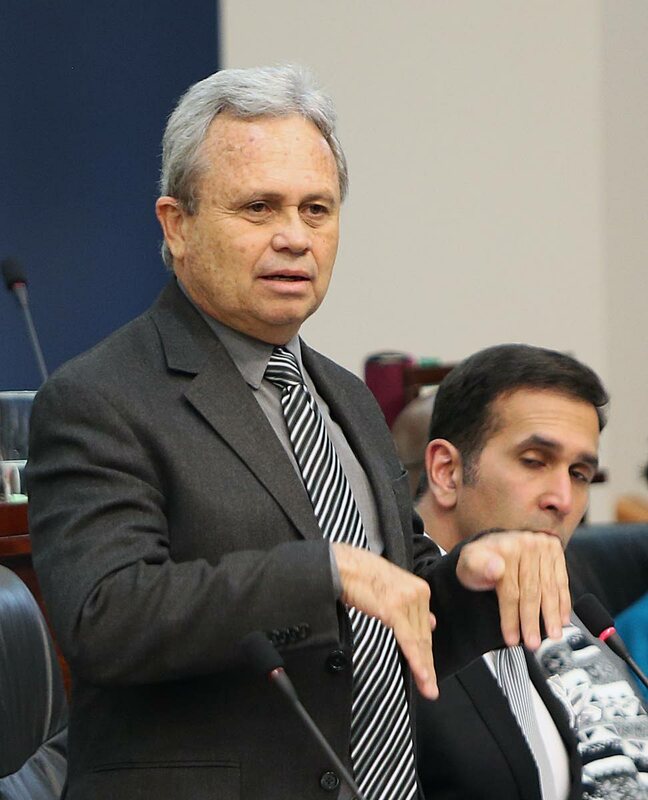 Responding to questions from Opposition MPs in the House of Representatives, Imbert said credit card purchases using cards issued by commercial banks in TT, amounted to $1.2 billion last year. “One of the largest consumers of foreign exchange is the importation of motor cars.” After reminding MPs that TT liberalised its exchange rate regime in April 1993, Imbert said this removed controls on foreign exchange transactions. However he said the Central Bank has intervened in the commercial banking sector from time to time, to supplement the amount of foreign exchange available to the public from commercial banks. “Over the last three years, a total of almost US$6 billion has been sold to the commercial banks from the Government’s foreign exchange reserve at the Central Bank,” Imbert said. The minister said every dollar of foreign exchange provided by the Central Bank to the commercial banks, reduces the Government’s foreign reserve by an equivalent amount. He said interventions by the Central Bank only involve authorised dealers of foreign exchange. Reply to "US$3 billion in credit card purchases"